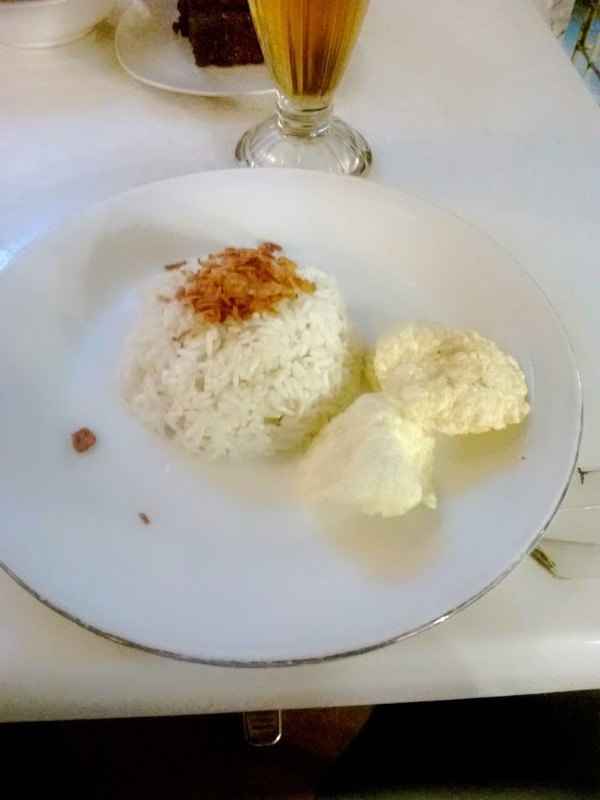 Note: Nasi Uduk come with coconut milk rice topped with fried shallot and Emping (Melinjo Cracker). Taste nice and fragrance. 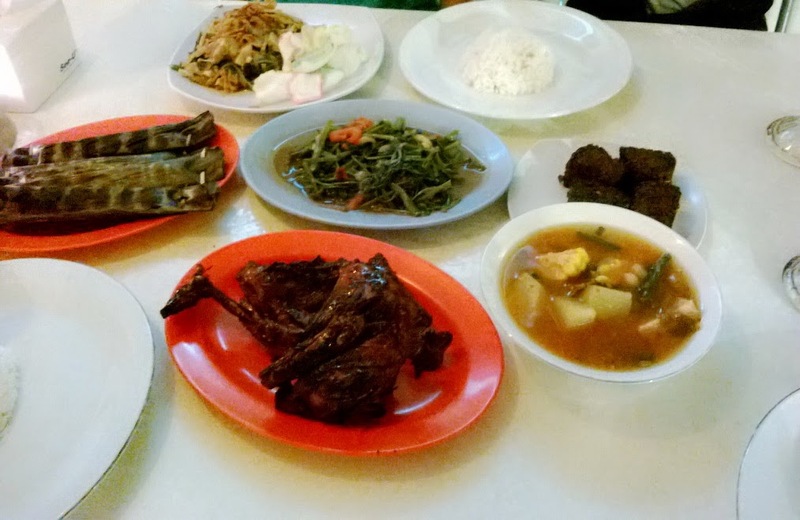 Ayam Bakar is the signature dish come with grilled chicken coated with sweet dark sauce. You can choose breast or thigh part. 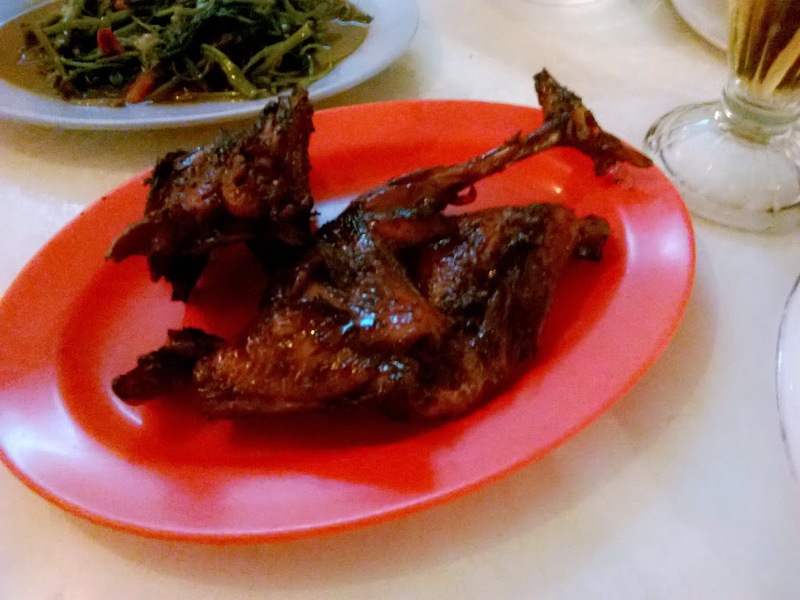 Taste sweet and tender. 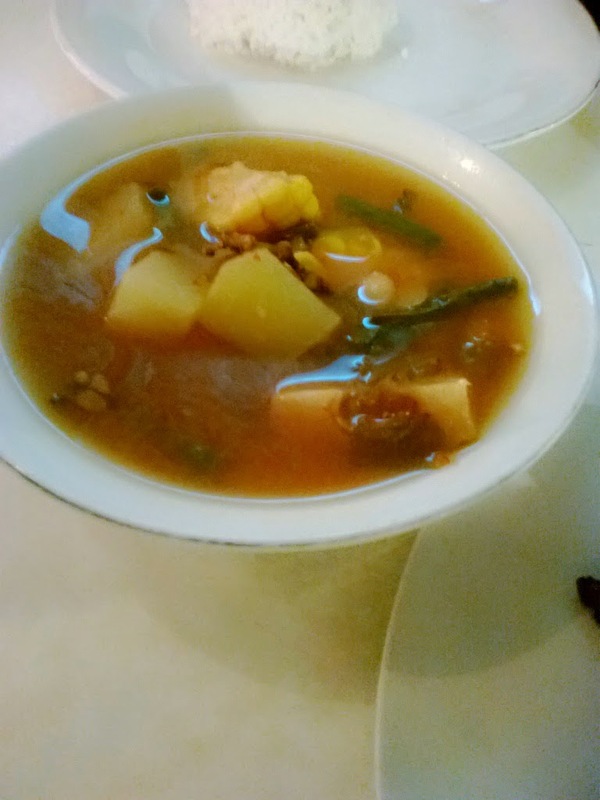 Sayur Asam come with sweet and sour vegetables soup: corn, long beans, young jackfruit, peanut, chayote, melinjo seed and leaves. Taste fresh and a little bit spicy. 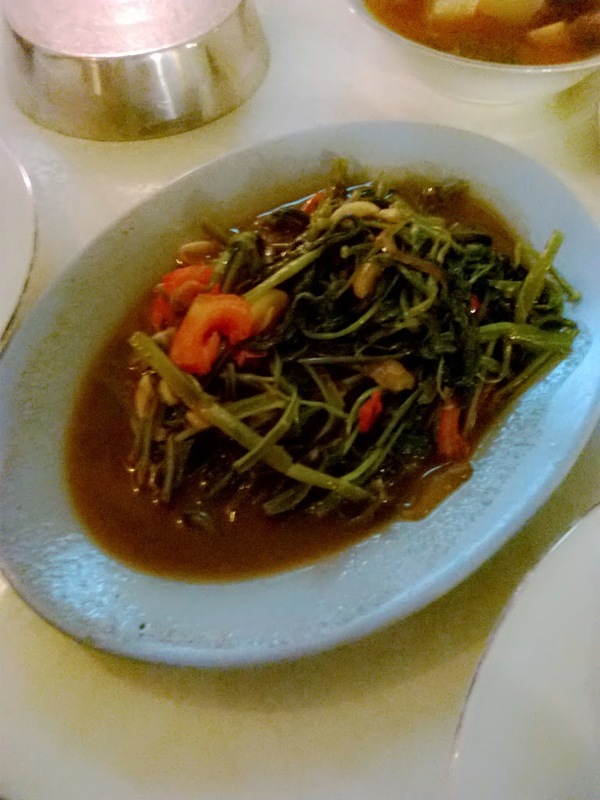 Kangkung Tauco come with morning glory vegetables stir fried with tauco (fermented beans) and tomato. Taste salty and spicy. 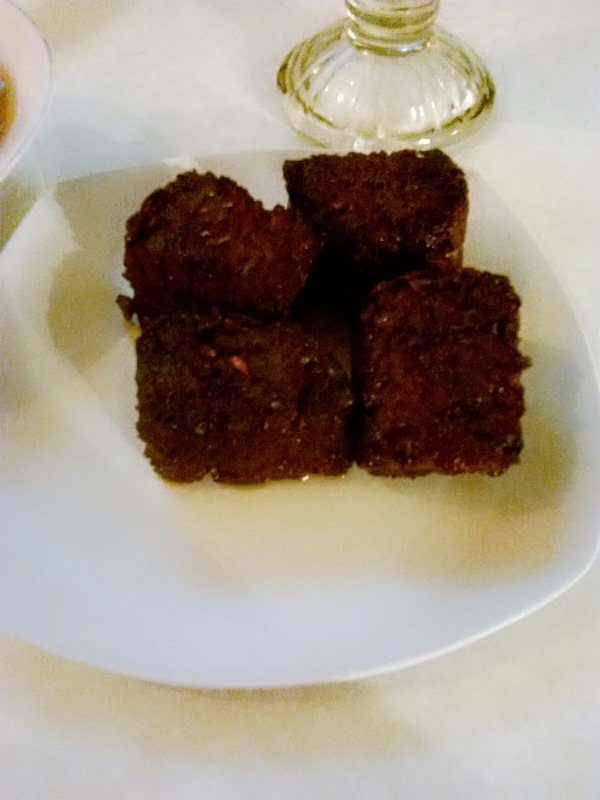 Tempe goreng come with deef fried tempe (fermented soybean meat) coated with sweet dark sauce. Taste nice and sweet. For your information, there are free flow chili and vegetables available for you to enjoy with the other dishes.